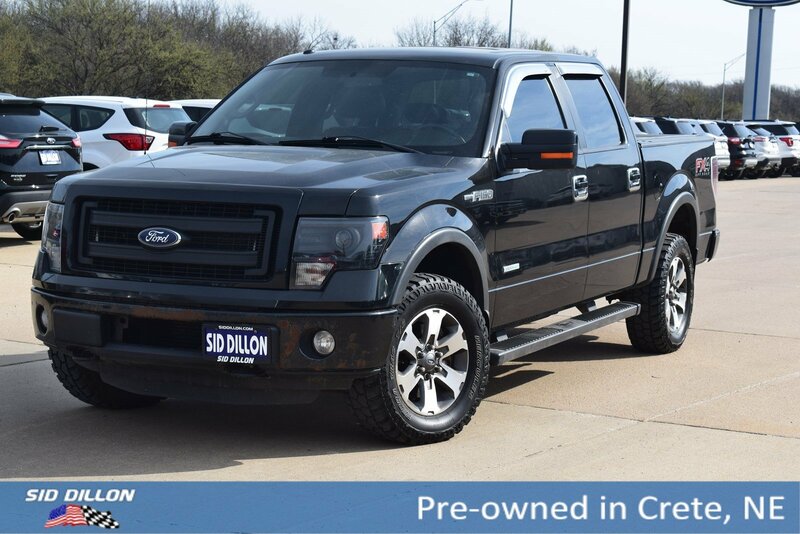 Come see this 2014 Ford F-150 FX4 before someone takes it home! 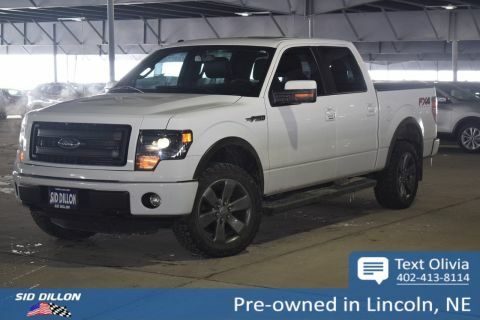 ENGINE: 3.5L V6 ECOBOOST -inc: GVWR: 7,200 lbs Payload Package , Wheels: 18 Machined-Aluminum, Variable Intermittent Wipers, Transmission: Electronic 6-Speed Automatic -inc: tow/haul mode, Transmission w/SelectShift Sequential Shift Control and HD Oil Cooler, Tires: P275/65R18 OWL A/T (4), Tailgate Rear Cargo Access, SYNC Voice Activated Communication & Entertainment -inc: 911 assist and vehicle health reports, SYNC Applink provides control of certain smartphone applications using SYNC voice commands, Connect to apps like Pandora and more w/your iPhone, Blackberry or Android platform mobile phone, SYNC MyFord -inc: 4.2 center-stack audio and climate control screen, Steel Spare Wheel. 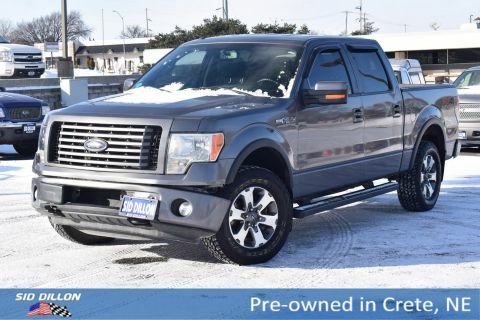 As reported by The Manufacturer Summary: The 2014 Ford F-150, with its 4 high-tech engines, including the revolutionary EcoBoost, has the toughest, most powerful, and fuel efficient truck lineup in the class. The Ford F-150 hauls and tows the most in its class, towing up to 11,300 lbs and hauling up to 3,120 lbs. It also generates the most available power - up to 411 hp - while achieving up to 23 mpg hwy. 9 distinctive models including the all new LIMITED. 3 cab configurations. 3 box lengths. Whatever you need a truck to do best, the F-150 lineup delivers. 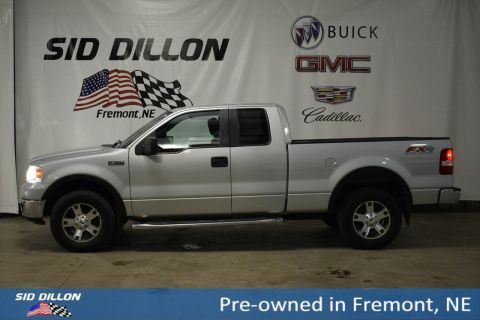 With 2014 F-150 features like the new standard hill start assist, which keep you from rolling back on a grade, it's no wonder the F-Series has been America's best-selling truck for 34 years. The 2014 F-150 comes with both power and luxury. The SuperCrew model impresses with an interior experience like no other. We're talking room to spare, lots of creature comforts, superb cargo space and utmost flexibility. The seating is thoughtfully contoured to provide comfortable support in all the right places, including its angled rear seat backs, which create a relaxed, natural seating position. F-150 XLT offers you a wide range of configurations. Inside, premium cloth seats welcome you, along with a substantial list of power and convenience features. Each of the 9 Ford F-150 models offers a diverse set of interior and exterior features, but all of them are still Built Ford Tough. In addition to the amazing combination of power, efficiency, and luxury, the F-150 gives you even more options. F-150 can be equipped with everything from manually telescoping and folding sideview mirrors with a large viewing area and convex lens that are perfect for towing, to power-adjustable interior features that help customize your driving position. You can even expand your cargo capabilities with our rugged stowable bed extender. And you've got plenty of style options too. Build the F-150 you want, just the way you want it.